I’m back! The vacation was a blast – beach fun, Universal Studios, and plenty of time to read and relax. I finished up The Secret Garden on the trip down, read through Maria Schneider’s short story “Year of the Mountain Lion”, and even started on Jonathan Strange and Mr. Norrell. I’m absolutely LOVING this novel though, and find I keep picking it up during the day to get a quick escape into fantasy for a bit. It’s reminding me how much I enjoy reading high fantasy like this in completely made-up worlds. It’s truly fun. And the sarcastic humor mixed with fairy tale worlds all through the book helps quite a bit as well. And finally – working on combining my novel into a Scrivener project and adding in the sections that need adding. Whew! You get no rest after a vacation. It took me hours cleaning out the 200+ emails in my work email this morning too. I love taking time off – but getting acclimated to the work/writing regiment again always takes some time. Hopefully by the end of tonight I’ll have a few items crossed off this list. Friday and Saturday are going to be pretty busy, so I need to use my time wisely – while I have it! Hogwarts Castle! You could seriously see it from almost every point of the park too! It was so freaking cool. And the ride inside of it was awesome – you get a quick tour through the castle and get to see portraits of the Founders arguing. It was just great! 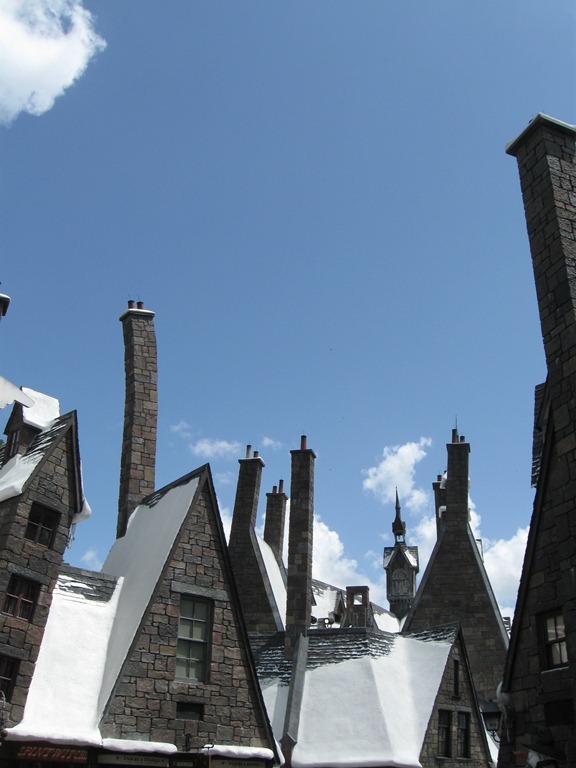 I love how topsy-turvy the skyline is for Hogsmeade. The snow just mocked us though since the temperatures were easily above 100 degrees Fahrenheit. 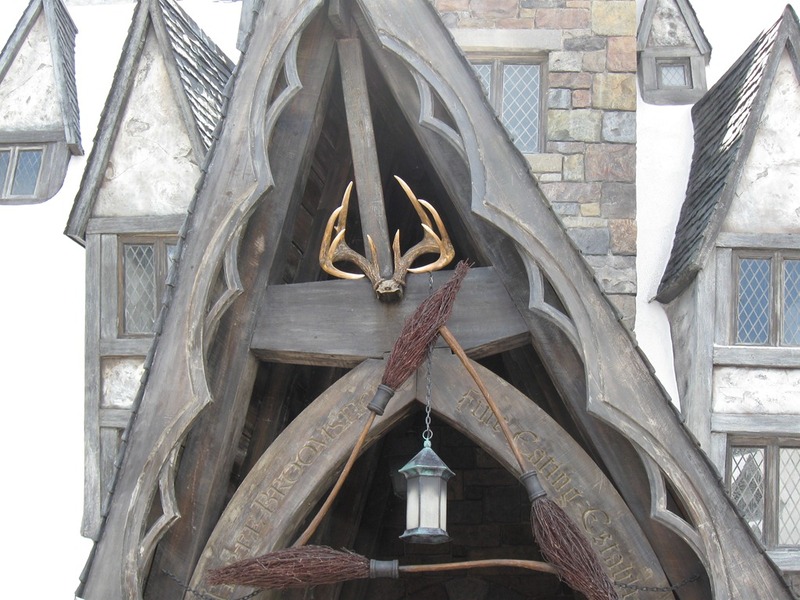 The decoration inside of The Three Broomsticks was beautiful! I truly felt like I was transported into another time period – kind of a mixture of the Victorian age with a magical twist. 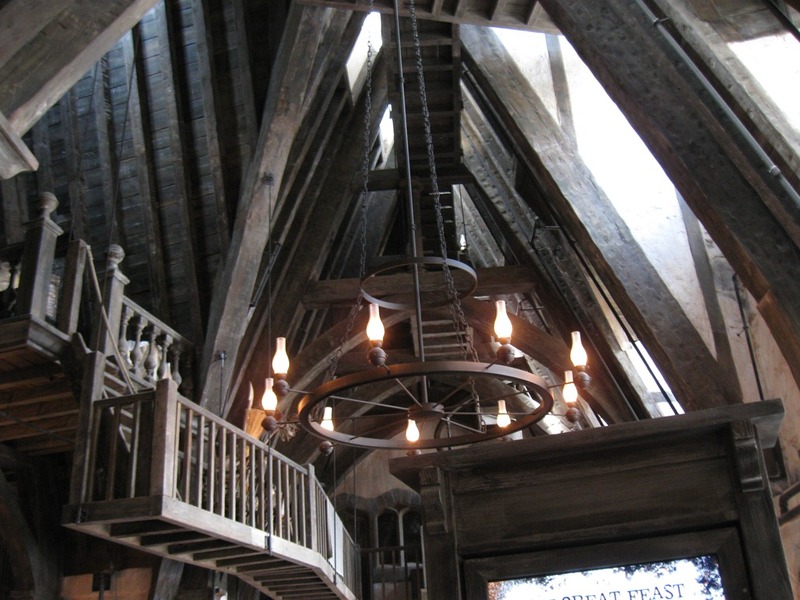 You really get a feel for how outdated the wizarding world is compared to the Muggle world in terms of style and décor. Of course if you had magic to replace the things you’d normally use electricity for, there would be no need to upgrade your technology, right?